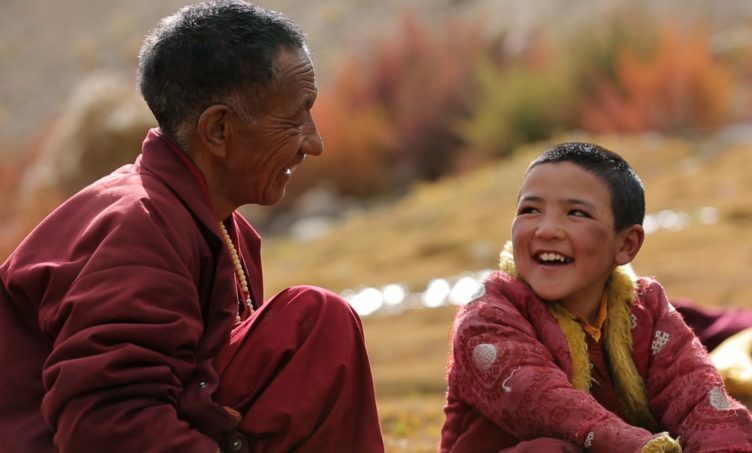 In the sparsely populated Ladakh region of northern India, an impoverished young boy is discovered to be the reincarnation of a high-ranking Tibetan monk. However, he was born far from his home monastery in Tibet, and is increasingly unwelcome in the local monastery. Eventually, the boy and his godfather embark on a grueling and incredible trek across India to return to his monastery. A stirring tale of friendship and devotion between a Tibetan Buddhist godfather and a child longing for his spiritual home, the film rarely delves into the spiritual aspects of the story, but that’s okay: you needn’t believe in Padma and Urgain’s religion to believe in them. Filmed over a span of eight years, the directors captured a stirring and awe-inspiring tale of friendship, devotion and selflessness. At times overwhelming in the magnitude of both the journey and the landscape in which they travel, the film depicts a delightfully devoted relationship between teacher and student. Their bond and unwavering dedication to their spiritual path is truly something to behold. This one-of-a-kind film artfully explores culture, tradition and identity while capturing the universal truths of unconditional love, family and sacrifice.